John Mendel, who will speak Jan. 13, heads the Honda and Acura sales divisions at American Honda. John Mendel, executive vice president of American Honda Motor Co., will be a featured speaker at the 2010 Automotive News World Congress. He will speak Wednesday afternoon, Jan. 13. 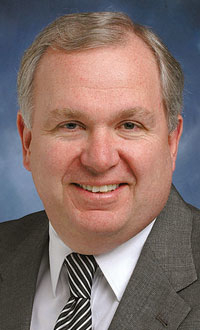 Mendel, who heads the Honda and Acura sales divisions, joined American Honda five years ago and was promoted to executive vice president in 2007. Before that he was COO of Mazda North American Operations. Mendel began his automotive career in 1976 at Ford Motor Co., where he held several sales, marketing and advertising positions. After working as regional manager of Ford's Los Angeles and San Francisco operations, Mendel went overseas as marketing director at Ford of Britain from 1999 to 2002 before migrating to Mazda. The theme of the Automotive News World Congress is "Navigating the New Automotive Epoch.'' The congress will be Jan. 12-14 in Detroit during media week of the North American International Auto Show.